While Nike has continually evolved their designs and R&D principles as far as woods, irons, and wedges are concerned, putters are the one area where they have stayed impressively constant. 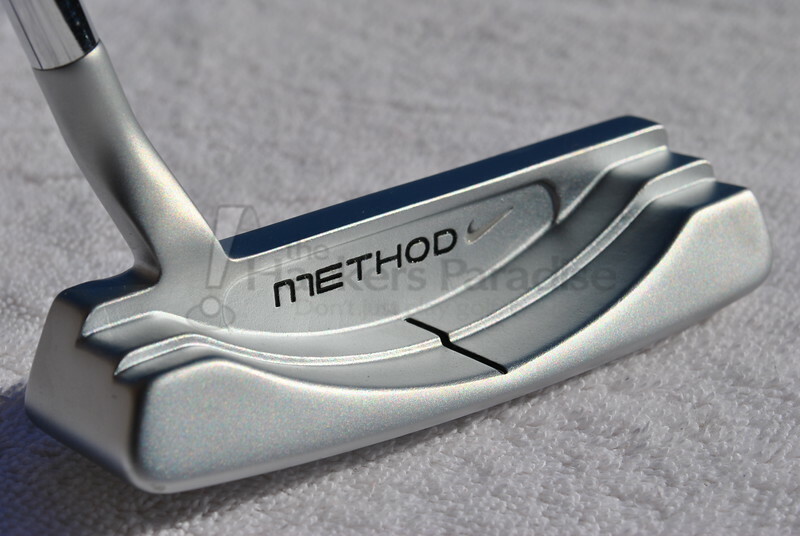 The development of the Method “Polymetal Groove” technology was one that the company went all-in with from the start and continues to do so with the belief that it provides one of the most consistent and quickest forward rolls on the market. In 2014, Nike has expanded their Method putter lines with additions to the Method Core full insert lineup and the introduction of their new Method Mod lineup. THP reviewed a model from each line for this article, the Method Mod 60 and the Method Core MC05W. Inspired by the most popular putters of the past four decades, the Nike Method Mod putters update the classic with modern technology to perform in today’s game. This golf putter has less weight in the center and more weight distributed evenly in the heel and toe for a lower, deeper center of gravity. The multi-material face with Polymetal Groove technology allows you to lift the ball, launch it and turn it forward as quickly as possible for a truer, more consistent roll. The distinctive 60° toe hang, determined by the weight location in relation to the head, offers a personalized feel for optimal forgiveness, roll and accuracy. The Nike Method Core MC05w RH Golf Putter is designed with tour weighting for optimal forgiveness, roll and accuracy. Polymetal Groove technology and a lower center of gravity team up for precision control on the green. The basis for the Method Mod line of putters from Nike is a simple one – they are taking classic putter designs and putting both their technology (Method Polymetal Insert) as well as their own aesthetic twist on them. The line serves as a high-end milled putter option for golfers that consists of four different classic head shapes. The first thing that stands out about the Mod 60 is not just that it is one of the most successful and sought after head shapes ever (heel shafted mid-mallet #9 style), but also the detailed milling throughout the head and the beautiful satin finish. The deep face milling combined with the Polymetal Grooves in the center of the face is one of the best aesthetic combinations on the market, as the look simply grabs the eye. The satin finish showcases the milling marks throughout the putter and allows the many details to shine through. It also provides contrast to Nike’s favorite accent color – red. 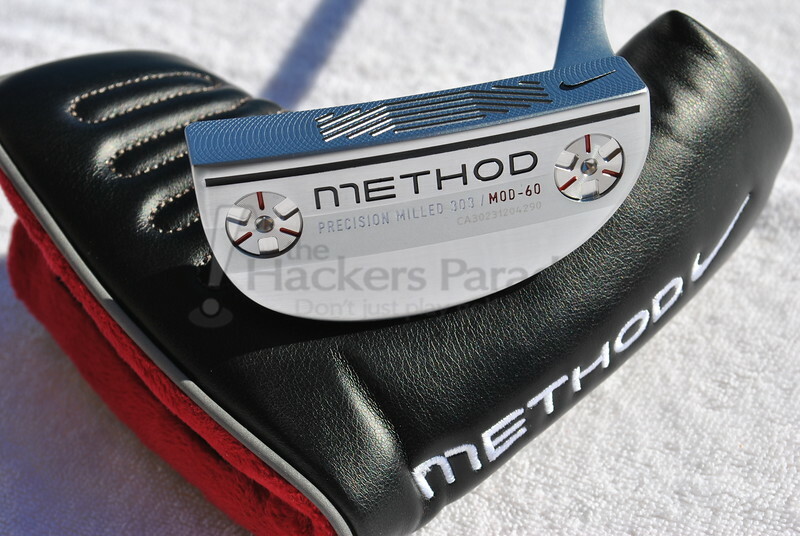 Although not everyone will be a fan of the large section of red in the rear flange cutout of the Mod 60, it certainly accomplishes the goal of putting a twist on the classic design and making it easily recognizable as a Nike putter. Nike’s take on the #9 is rounded out by some other major features, including an overall rounded sole radius, a flare-toe, and movable sole weights. The sole weights have become a constant in the Method lineup in order to provide more fitting options as it pertains to weight, but aesthetically they are among the best looking setups out there. Additionally, each design within the entire Mod line features a very pronounced rounded sole from heel to toe, which gives a unique twist when looking at the putter face on. To round out the design Nike added a flare-toe (hi-toe to some) to the #9 shape which seems to really complete the overall aesthetic look that they were going for. It may not be a new thing to this head-shape, as other companies do it as well, but with all of the other accents Nike has thrown in it may be the most unique version. As far as the sound/feel of the Mod 60 at impact goes, it’s a very unique mixture and that all has to do with all of the tech in the putter that is going on. 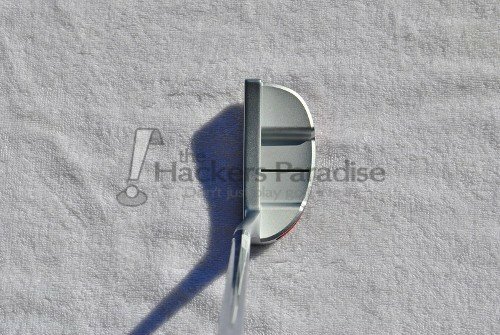 First off, the putter features a deep milled face which in itself will decrease the surface area that comes into contact with the ball and thusly lowers the audible tone. However, added into that mix are the Polymetal Grooves in the impact area of the face. 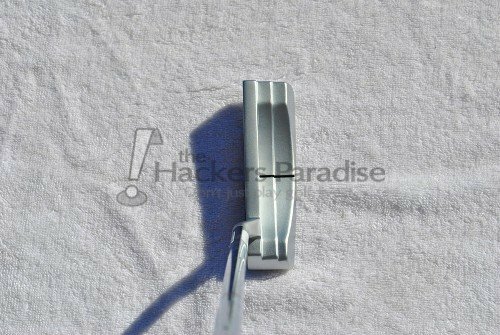 As is well known with the Method line now, the grooves are cut out of the face and above each one is the polymer material which is actually poured in via the slot on the sole of the putter rather than installed directly into the face. All of these things combined serve to put an extremely quick roll on the ball while also maintaining a well-balanced sound/feel that is not overly soft because of the polymer, but also not harsh/clicky because of the metal. 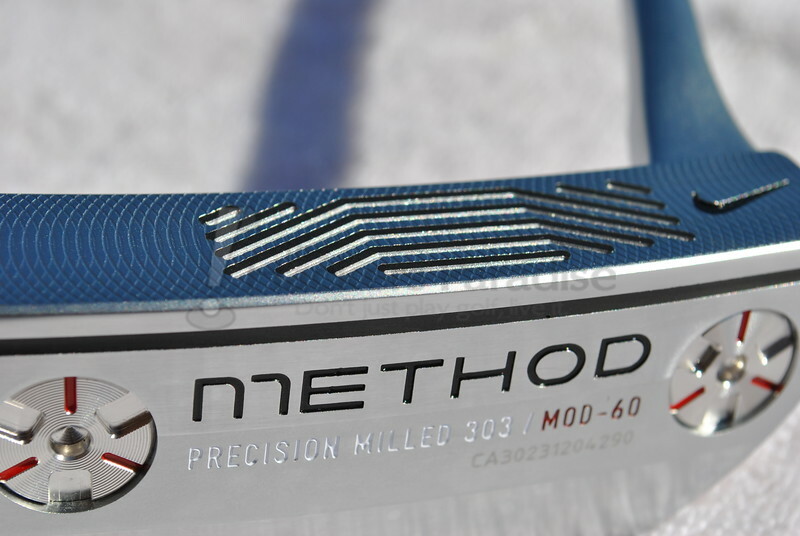 All around, the Method Mod 60 is one of the more impressive feeling/sounding putters from an OEM out there, with plenty of feedback to the user through the stroke, but with an extremely favorable plush feeling that many expect out of a high-end putter. Significant time spent with the Mod 60 makes it evident that the putter is not just a looker, but also performs with an impressive amount of consistency. Clearly the heel shafted (full toe hang) nature of the Mod 60 lends itself best to a truly arced stroke, but it has a balance and setup to it that should fit the eye of a wide range of golfers. The flange cutouts combined with the single siteline of the head frame the golf ball well, and as is traditional with this head-shape, places the sweet spot of the putter slightly towards the heel without making it appear awkward to the eye. One thing to keep in mind during use however is the roundness of the sole. If attention isn’t paid at setup then it can be very easy to set up too toe-up or toe-down. There is something to be said for Nike not trying to reinvent the wheel with the Mod line and instead taking true classics and imparting technology into them that they believe will make them much more consistent and playable for the wide range of users. Time and time again in testing on a variety of surfaces, the Polymetal Grooves certainly do impart the quick forward movement that Nike claims and this leads to a very clean and pure roll of the golf ball. From a design stand point you can’t ask for much more than that. 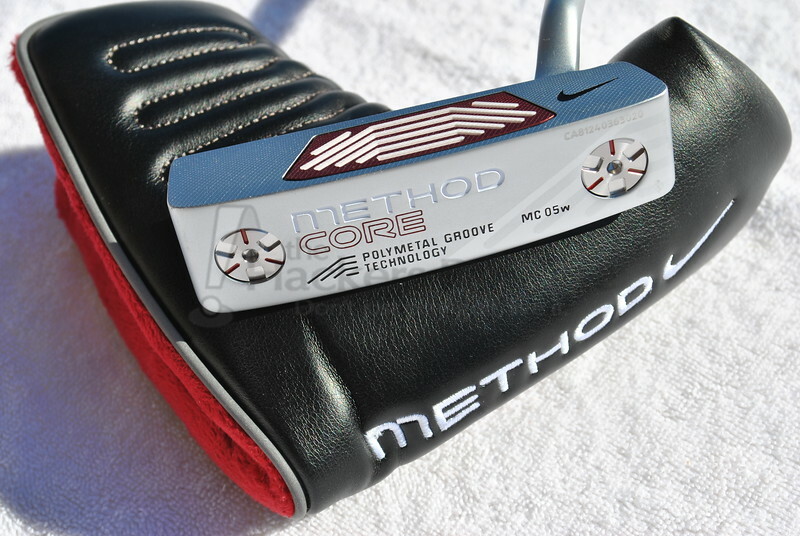 Whereas the Method Mod line fits into the “high end” category of putters offered from Nike, the Method Core line serves to bring the benefits of their Polymetal Groove technology to a more affordable portion of the market via a full insert rather than a fully milled putter. The MC05W putter design clearly takes cues from multiple headshapes of the past in golf, namely most will see a significant amount of Zing like styling in the basic shape. However, unlike similar shapes, the MC05W actually features a two tiered flange, which provides the familiar smooth heel-to-toe arcing lines and combines it with a subtle step pattern that rounds out the shape well. The Core lineup features the same moveable weight setup (which is nice to see in a putter of this price point) as well as the same satin finish that the Mod lineup does. Outside of that however the similarities tend to stop. 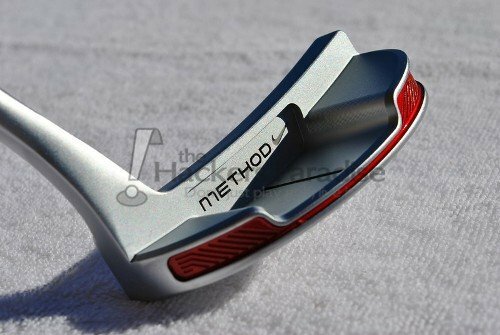 The MC05W doesn’t feature as many bright red accents as the Mod does, but does possess the Polymetal Groove technology via the red and white insert set into the surface milled putter face. Overall, the MC05W may not catch everyone’s eye from a looks standpoint, but from a finish outlook it is a well-balanced design that stands up next to any other putters at this price point. Nothing looks cheap or out of place and everything looks as if it was done to accomplish a specific purpose rather than to solely add flash to the design. When it comes to insert putters, the sound/feel criteria is often the trickiest to break down because there are inserts on the market that run the entire gamut from incredibly soft to plastic-like and harsh. The Method Core insert is an even more unique situation because of the implementation of the Polymetal Groove technology within the insert itself. It is essentially like a dual insert with the aluminum and polymer. As a result of this combination, the Method Core managed to stay away from the two polar extremes of inserts and instead settles firmly in the middle. The feel off of the face imparts a dense click from the face for audible feedback at impact across the insert while still maintaining a plush quality to it. 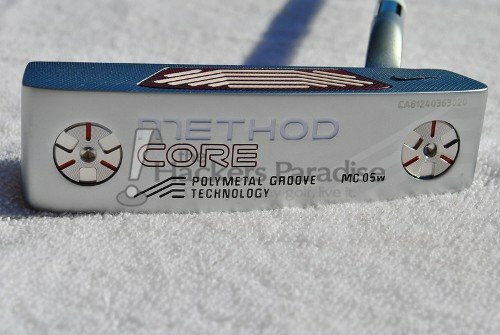 The Method Core MC05W was the surprise of this review. Any time a company gets creative as it pertains to inserts the results are usually very hit or miss, but with this one Nike hit it on the head. The roll off of the face is pure and quick just like that of the Mod lineup. It simply feels a bit softer because of the dual material insert. Additionally, the MC05W sets up very well behind the golf ball and though it may be a little overly elongated for some golfer’s tastes from heel to toe, the dual step flange helps to balance the look very nicely. The blade design offers enough toe hang to fit a wide variety of strokes thanks to the flow neck that Nike went with, and the balance throughout the stroke is exactly what one would look for in a blade of this design. Although the putter doesn’t necessarily stand out in any one category compared to putters in similar price tiers, it also does not lag behind in any area, and being well rounded is always a good thing to see from any club. 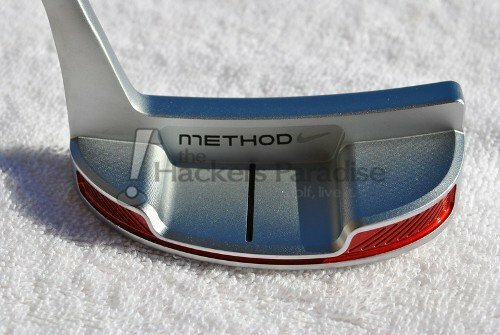 Since its inception with the first Method putter models, Nike has continued to put its faith in the Polymetal Grooves as the backbone for their putter lines. With the continued evolution into the Method Mod and Method Core lineups, Nike has created a well-rounded putter line that has something to offer to the entire spectrum of golfers. Nike certainly isn’t the only company to believe in grooved-face technology, nor were they the first to implement it, but they do have a take on it technologically that is different than we see out of others. In the end, the time for overlooking Nike golf equipment as it pertains to putters is over. 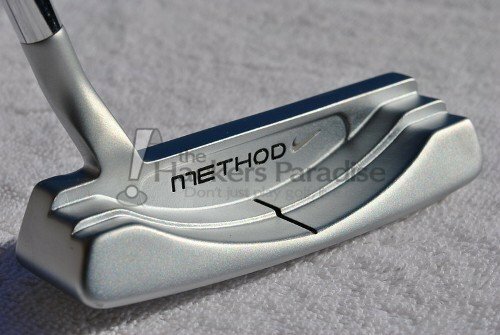 The Method Mod line of putters has an MSRP of $299.00 and at this time offer four different headshapes. The Method Core lineup consists of 11 different head/shaft combinations and has an MSRP of $139.99. For more information on all of Nike’s putters, check out the Nike Golf website. Another great review James. I loved the looks from the moment I saw this new line and it’s obvious that the performance is there also. The flared toe on the Mod 60 looks fantastic. I also really like the adjustable weights in the Core line at only $139. The Mod 90 still haunts me….maybe one of these days. Another great review; James talking putters is something to pay attention to. 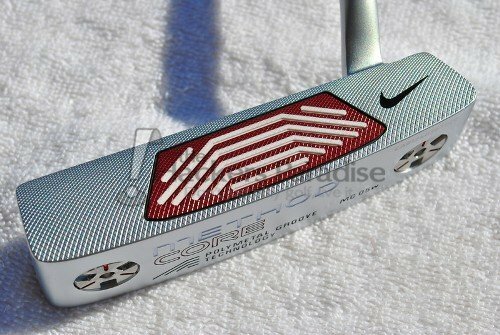 I haven’t paid much attention to Nike putters in the past, but I think that needs to change. The Mod line sounds like a load of technology, which is a good thing, while the core line sounds like some great features packed into a value head. oh that mod 60 is right up my ally. Sounds like they have really built upon the Method lineup that has been out for some time now. A nice little refresh. I wasn’t a huge fan of the insert on the Core lineup in the past but it sounds like I should give them another shot this year. As a #9 lover, man that Mod 60 is gorgeous. Wow, I play the MC01w today and would love an adjustable weight option. Sign me up for whatever the Mod that looks like a futuristic Bullseye is called. That putter is sweet. Great work as always James. Well done James, the head shape on the Method Core MC05W is stunning, I love it. It reminds me of an old school look, classic, but a ton of tech built in! 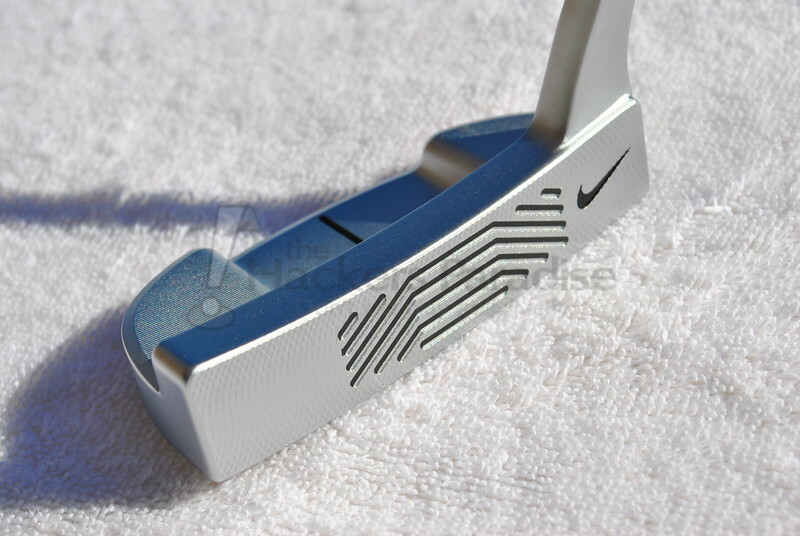 That’s the one thing about Nike putters, they always seem to be packed full of innovation. LOVE the face on the Core. Would be interesting to try this one out. I haven’t had a lot of luck with #9 style putters, and at 300 bucks, the Mod line is way out of my price range. I like the look of the Mod 00.